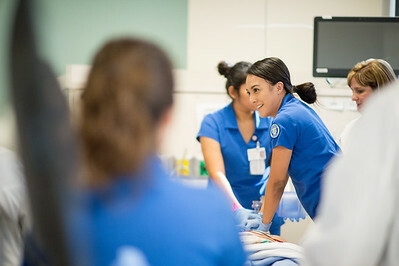 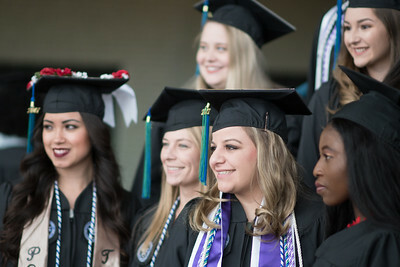 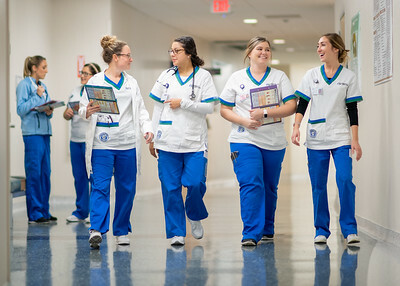 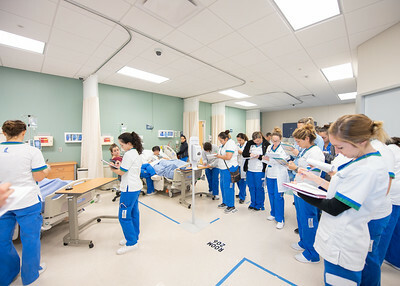 Nursing students make their way to their lab on the second floor of Island Hall. 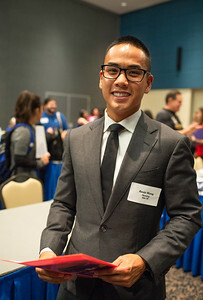 Upcoming Nursing Graduate of Fall 2018 Kevin Wang poses for photo at this years Nursing and Health Sciences Expo in the University's Center LoneStar Ballroom. 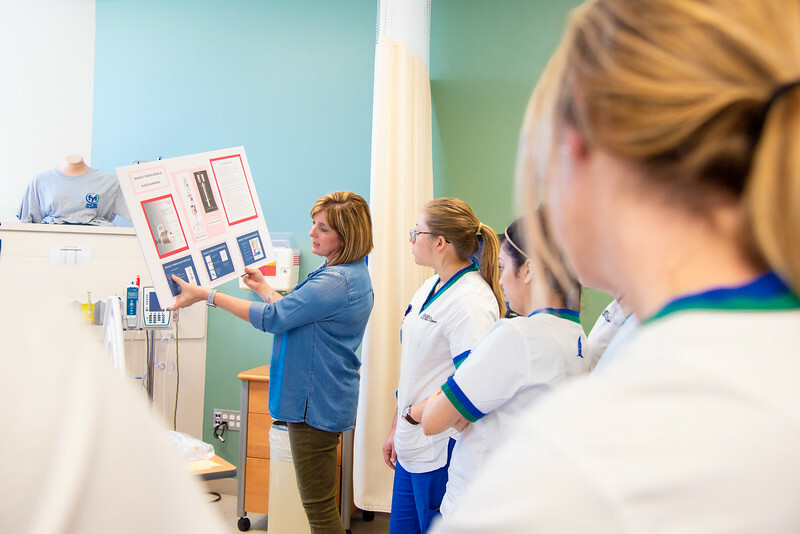 Dr. Stokes lectures her OB Rotation Simulation students on the process of blood transfusions with a visual presentation in the Islander Hall mock hospital. 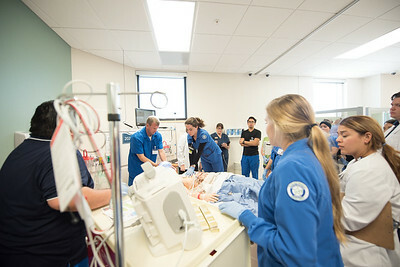 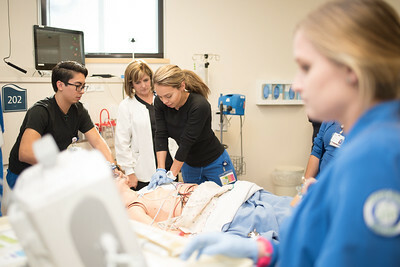 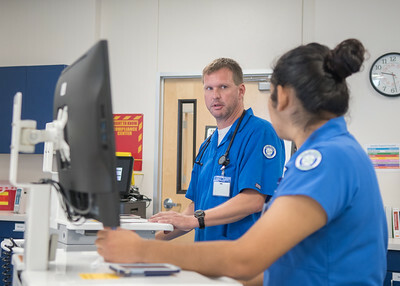 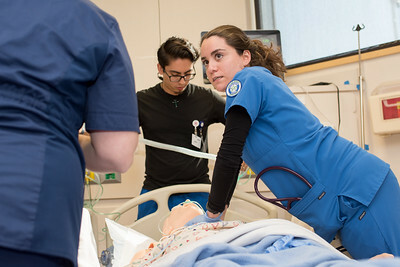 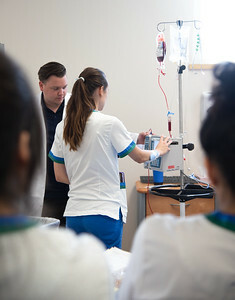 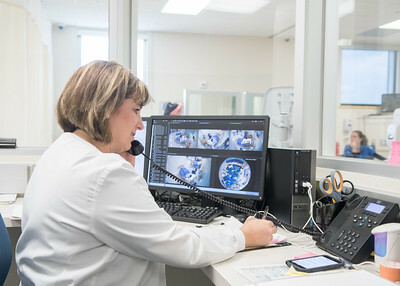 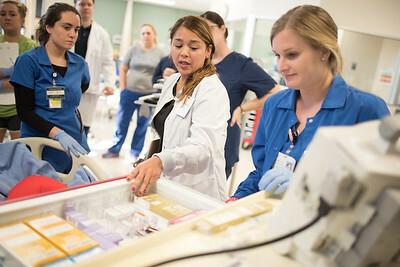 Simulation Lab Coordinator Brayton Amidon (left) leads the OB Rotation Simulation as he demonstrates how to complete a blood transfusion in the University's Islander Hall mock hospital. 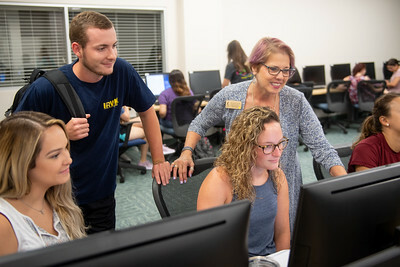 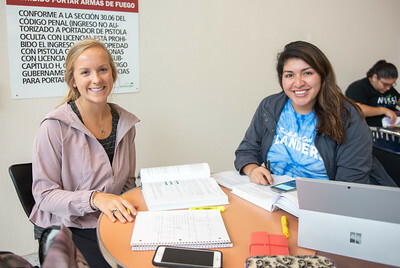 Cassidy Zajicek (left) and Erica Rios work on their Measurement and Evaluation assignment on the first floor of Islander Hall before their next class. 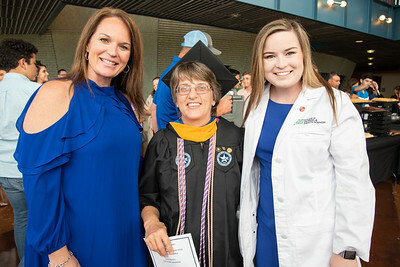 Professor Carmen Hernandez (left) assists Aliciana Mireles and Amber Merla with their lab in the nursing department. 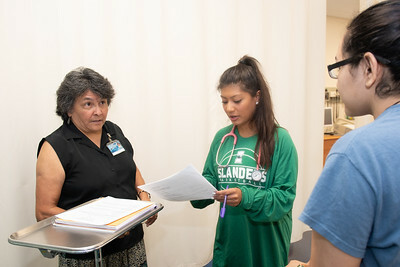 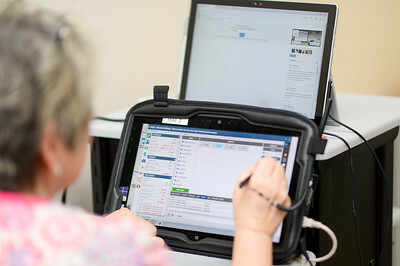 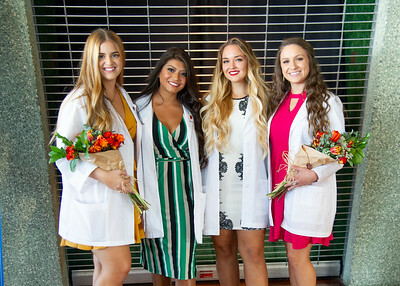 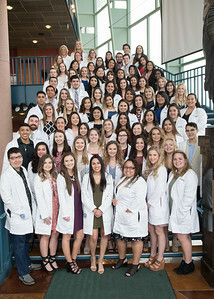 Professor Carmen Hernandez assists Aliciana Mireles and Amber Merla with their nursing lab. 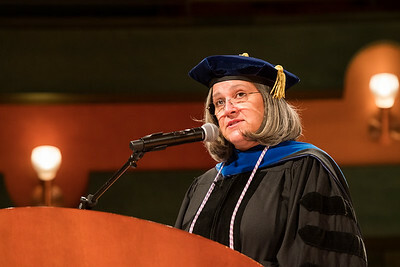 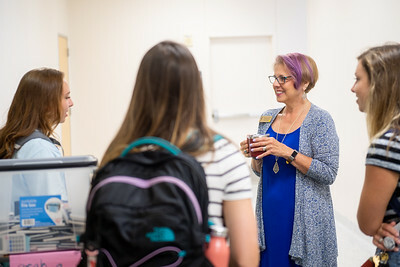 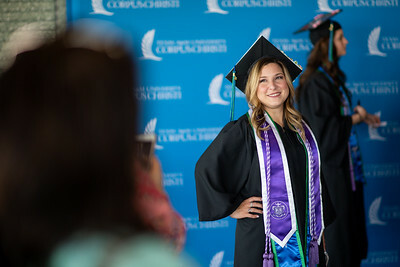 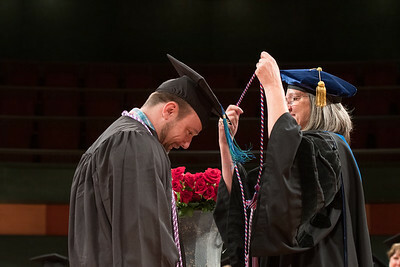 Professor Julie Fomenko greets students as they make their way to their nursing class. 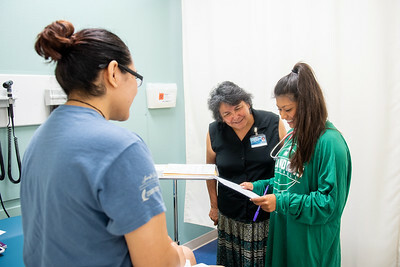 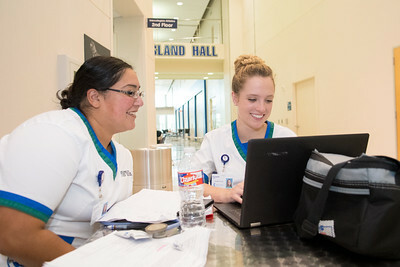 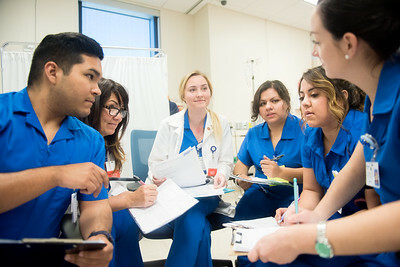 Nursing students take time to catch up on their studies in Island Hall. 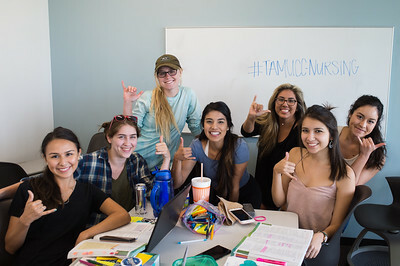 Students from the College of Nursing took a break from studying to show us their best shakas in the O'Connor Building.